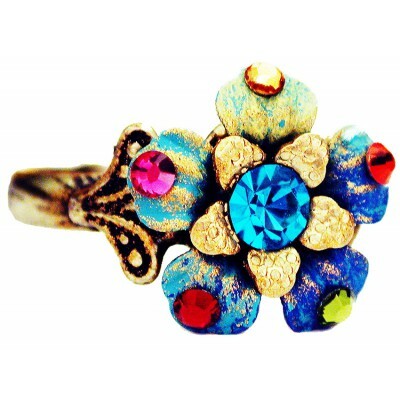 Michal Negrin ring with multicolor sparkling Swarovski crystals and a painted flower that has vintage gold tones. Adjustable band. 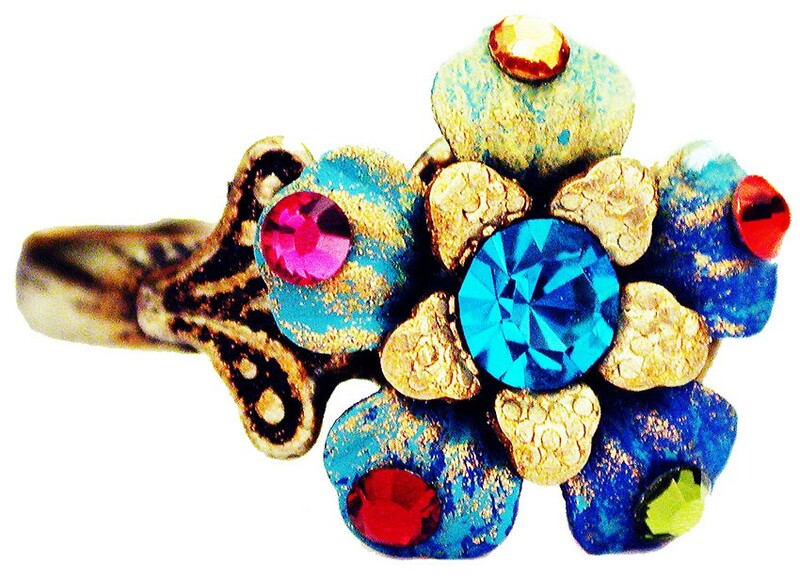 The flower measures 1/2 inch in diameter.